Growing up in Maine, Desirée Plata watched her grandmother suffer from illnesses that she suspected were related to trichloroethylene—a colorless liquid, used as a solvent for cleaning metal parts, that had been dumped in the area and had made its way into groundwater used for drinking. 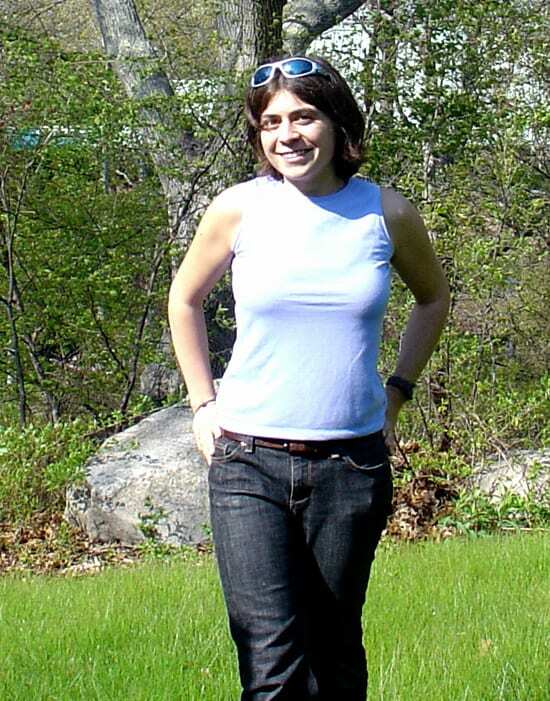 Her thoughts about chemicals in the environment and their impact on public health continued to percolate, and they resurfaced when she saw a 1998 film, A Civil Action, a real-life story about families in Woburn, Mass., who unsuccessfully sued two companies for illegally dumping toxic waste that caused a torrent of health problems. A decade later, Plata has thrust herself into the intersection of science, industry, and public health, as an MIT/WHOI graduate student. Her research on carbon nanotubes, which industry has hailed as the next great “wonder material,” has shed light on a number of ways in which manufacturers may be able make their processes more efficient and less harmful to public health. Her research has called attention to potentially harmful effluents that can be generated during the nanotube manufacturing process. And in a paper published online April 3, 2007, in the journal Nanotechnology, she and colleagues showed that differently manufactured nanotubes have distinctive chemical characteristics. That makes it harder to track the material in the environment (see “Making Nanotubes Without Harming the Environment“). Her goal: to work with the carbon nanotube industry while it is still in its infancy to help develop methods to prevent problems and use the materials safely. 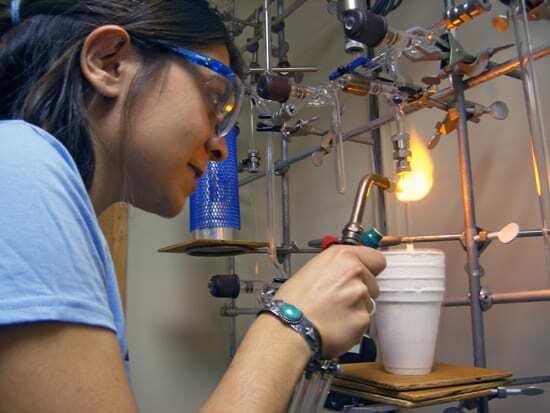 Plata’s interest in environmental chemistry came of age during her time as an undergraduate at Union College in Schenectady, N.Y., a town at the center of a battle between the federal government and General Electric over the company’s role in polluting the Hudson River with polychlorinated biphenyls (PCBs). Plata didn’t work directly on the PCB issue, but she studied contaminants on the environment, researching the effects of pollution-fueled acid rain on fish communication in Adirondack lakes. Her first research papers were published when she was 19 years old. “I’ve always felt that everyone can have an impact on the world around them, regardless of her age, social stature, or perceived limitations,” she said. 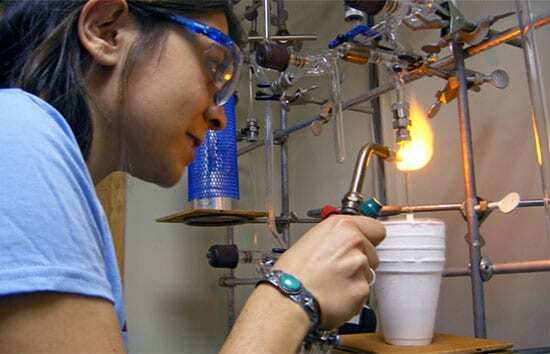 In 2002, Plata came to WHOI as a summer fellow and was drawn to Reddy’s lab, where scientists were studying how chemical compounds from oil spills disperse and decay over time. For two consecutive summers, Plata helped Reddy and other researchers conduct experiments on photochemical degradation in oil spills, including a large spill from an oil-carrying barge in Buzzards Bay off Cape Cod in 2003. In March, a paper on this research earned Plata a 2008 Graduate Student Paper Award from the American Chemical Society’s Division of Environmental Chemistry, its highest award given to students. Nevertheless, Plata spends one day a week at Massachusetts General Hospital in Boston, volunteering in the facility’s Cancer Treatment Center. Her aunt is a patient there, and she says the experience has brought her closer to her aunt, as well as many of the other patients. “Seeing these patients also re-emphasizes the need for our preventative science,” she said. During their first three years of graduate school, Plata also joined fellow MIT/WHOI graduate student Ari Shapiro in designing, garnering funding for, and implementing a program to to teach third-, fourth- and fifth-graders in the Cambridge School District about environmental science and oceanography. Plata demurs when she hears such praise, explaining that whether she’s studying or giving back to the community, she spends her time doing what she loves. Though her perpetually busy schedule leaves her little time for herself, it seems she wouldn’t have it any other way.